Last edited by nome66 on Sat Mar 21, 2009 6:45 pm, edited 1 time in total. Was this on Draggers? I think it was. This track is looking great so far. Like the design on it too. I saw your designs for SCORR tracks. Little too small, but other than that, they're awesome. FINALLY a track that's not a drag. 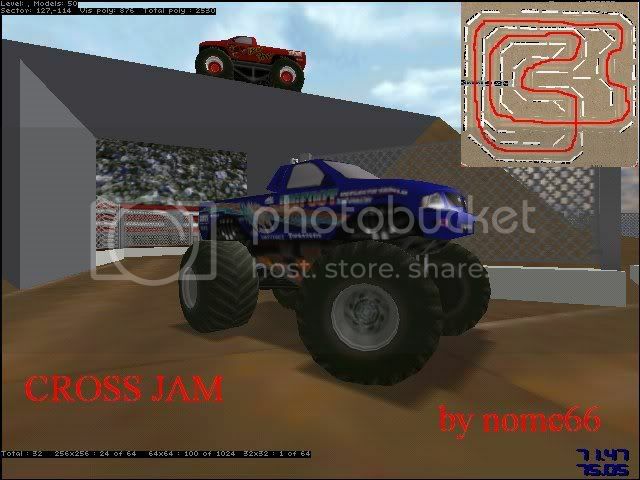 Excellent track too Nome66, I like these S/X,M/X/ tracks myself, they are really fast fun. It's nicely designed. 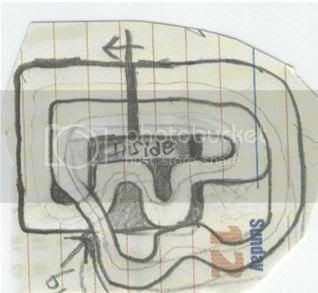 The race takes place in a stadium, there are two lanes, completely enclosed by barriers. This will stop people from taking shortcuts and cutting out half of the track. Both lanes are (or seem to me) as long as eachother. The corners are very sharp and narrow, making for a good test of braking and especially cornering (obviously). You will constantly find yourself looking outside your lane for your rival(s). Unfortunately the checkpoints are outside of the course, so you cannot actually finish the track. I had to set my fast lap by eye. and guess it. The A.I. truck in the other lane does not race the track either, so this will be online only when it comes to racing. Ignoring these bad points, it makes an excellent short blast of fun, and will without question make an excellent online track. Great contestant for this S/X,M/X series that MAY be starting pretty soon. Overall a very nice track Nome66, I'm glad to finally have a new "non-drag" to race on. there's no checkpoints, no AI, and the models are kinda sticky. also i get hung up on the ramp a lot because of the groundboxes. this looks more like a beta to me. but that said, its a dern good beta. i love the idea, and thank you for making the first not-drag of the year. you at least need to add checkpoints so you can finish a lap. i didn't think you guys would like it that much. thanks, and you're welcome for the track. yea, sorry 'bout the ground box problem and i'm also not good with checkpoints either. i'll fix the box problem tho.